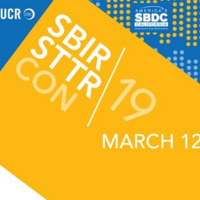 Join us for a full day conference on everything SBIR! Meet with Program Managers from 5 different agencies to find out what they are looking for in successful proposals. Federal SBIR/STTR programs provide $2.5 Billion in capital funding every year to help small business entrepreneurs bring transformative innovations to market. Join program officers and learn how to obtain early stage funding to commercialize your idea!.